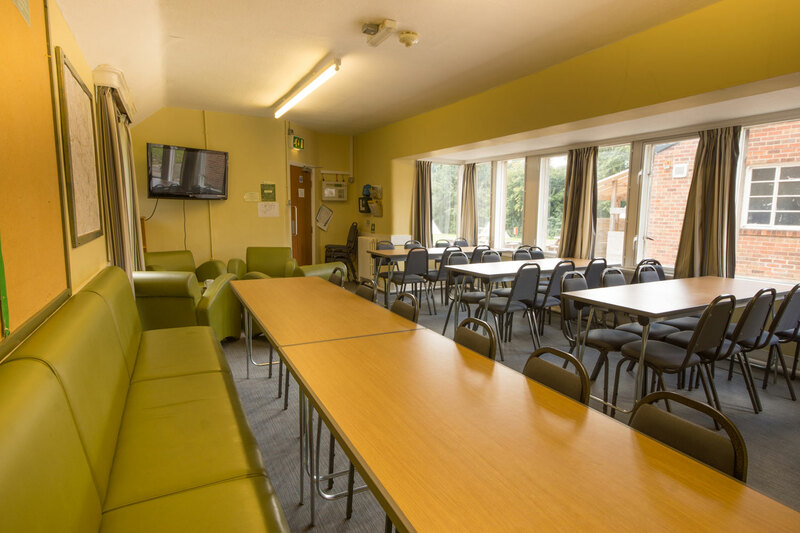 We have a number of different spaces available for day and resident groups to use for meetings, conferences, reviewing activities and recreation. 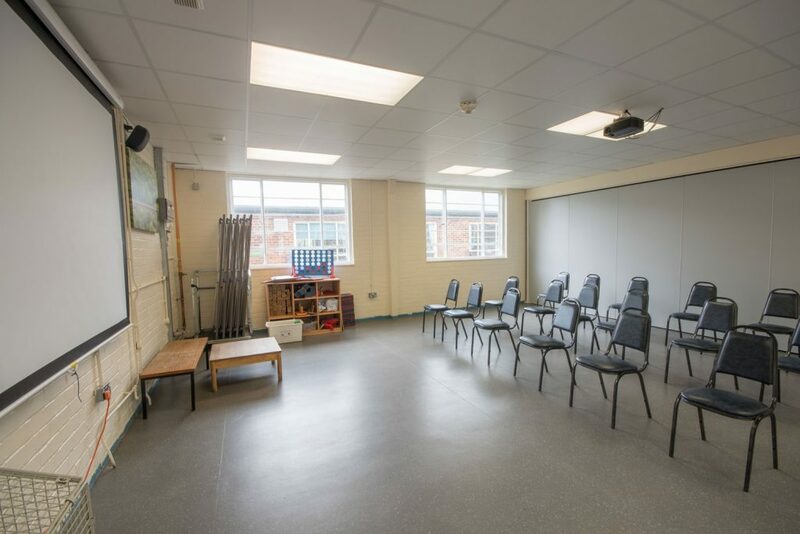 The range of spaces we have are suitable for a meeting of 2 – 60 people and the majority are accessible by wheelchairs. 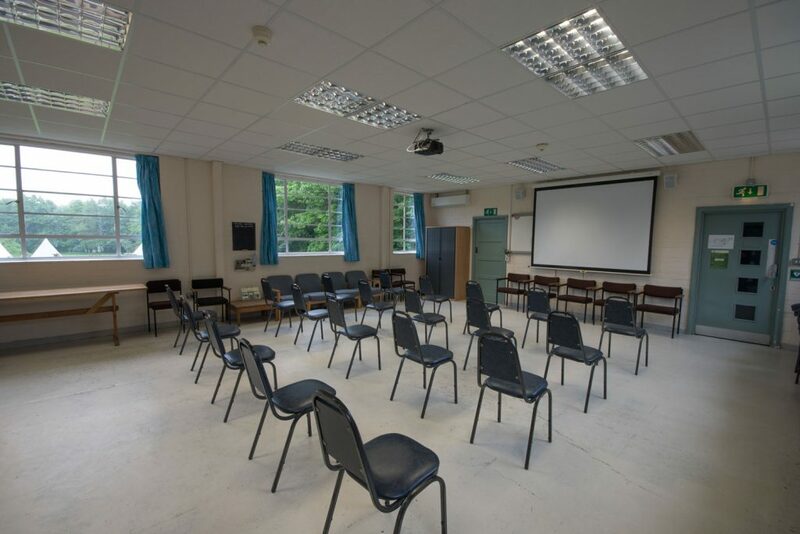 All meeting and conference spaces have Wi-Fi access (apart from the Yurt), digital projector, projector screen and a DVD/Blu-ray player (flipcharts are available on request). 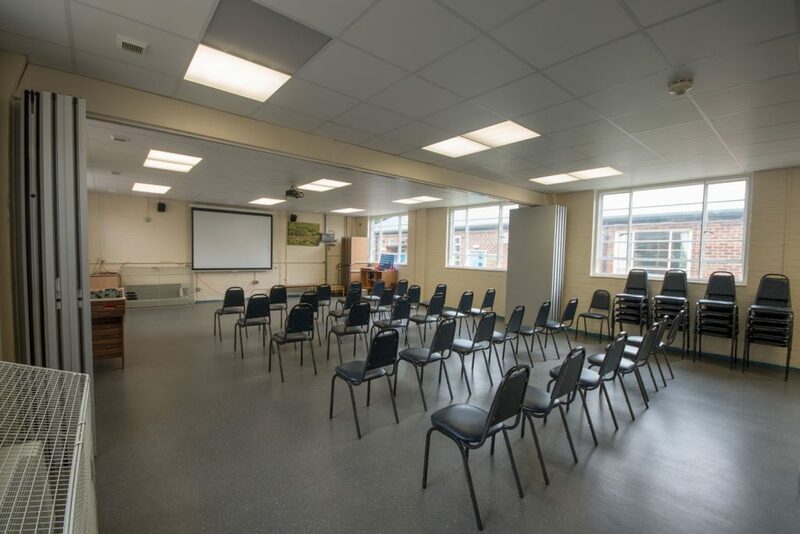 If you want to book one of these spaces while you are staying here, you will be required to hire it for the duration of your stay. 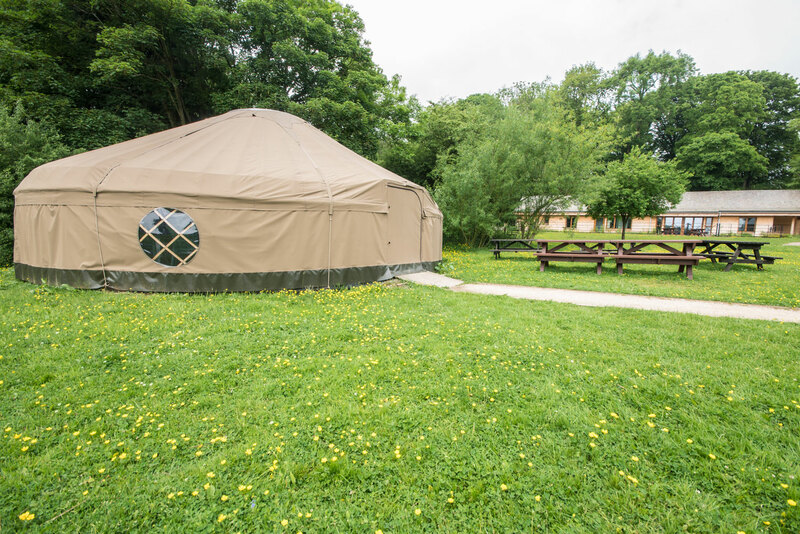 Please enquire at the time of booking your stay. We can provide tea, coffee and biscuits for meetings, the cost is £3.60 per person, per day including VAT. 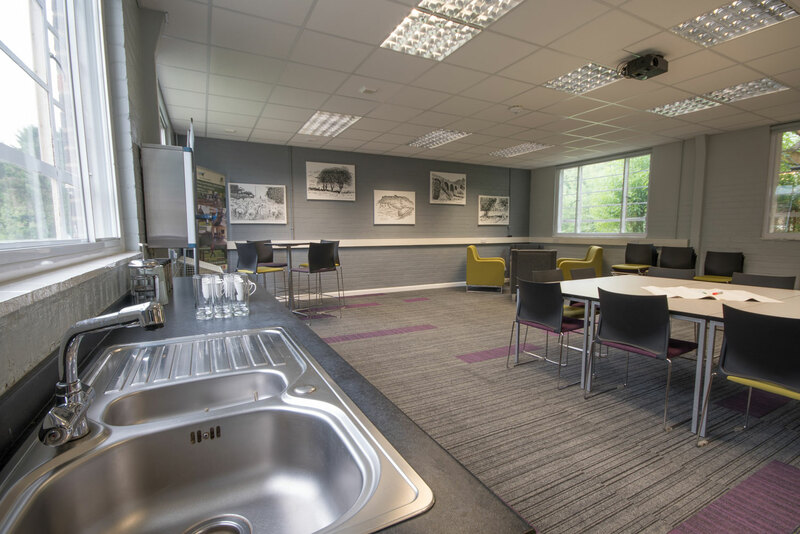 When booking refreshments you will also need to add 20% onto the below prices of the meeting room (when booking a room only, VAT is not applicable). 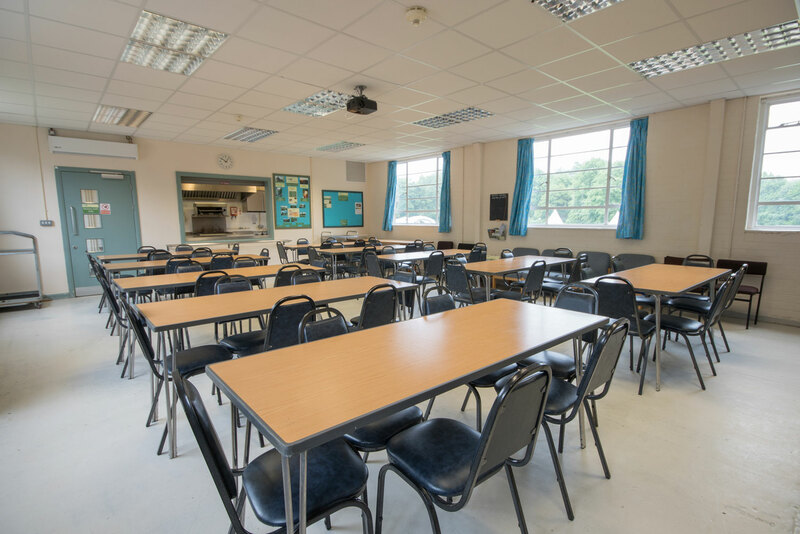 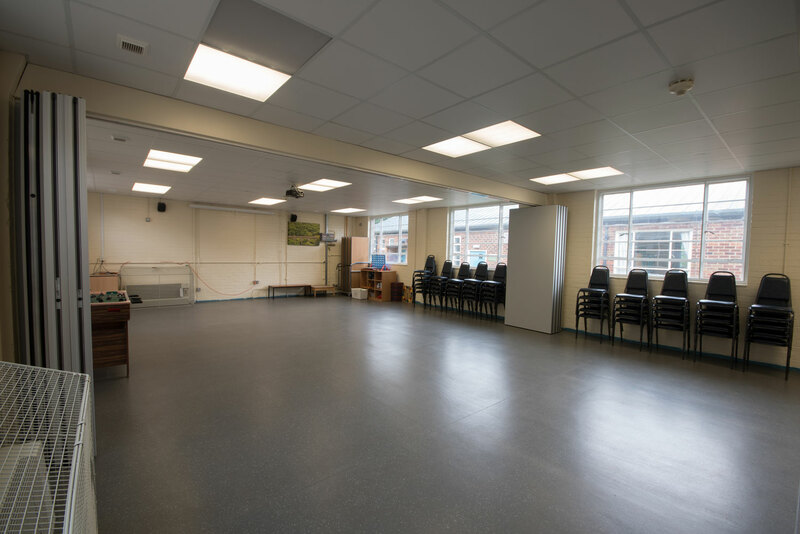 Our largest training room, the Wyedale room has a capacity of 60 people and is a very flexible space. 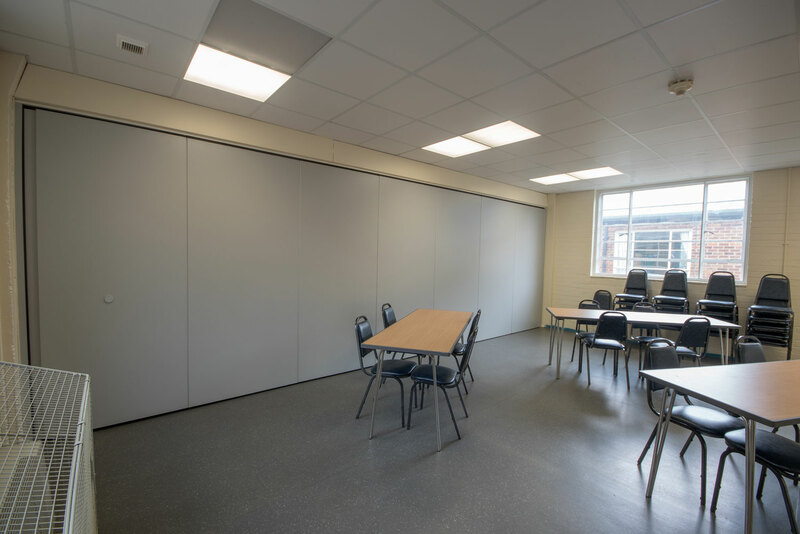 There are fold-able doors to be able to split the room in half to create 2 separate rooms (the Wyedale room and Lathkill room). 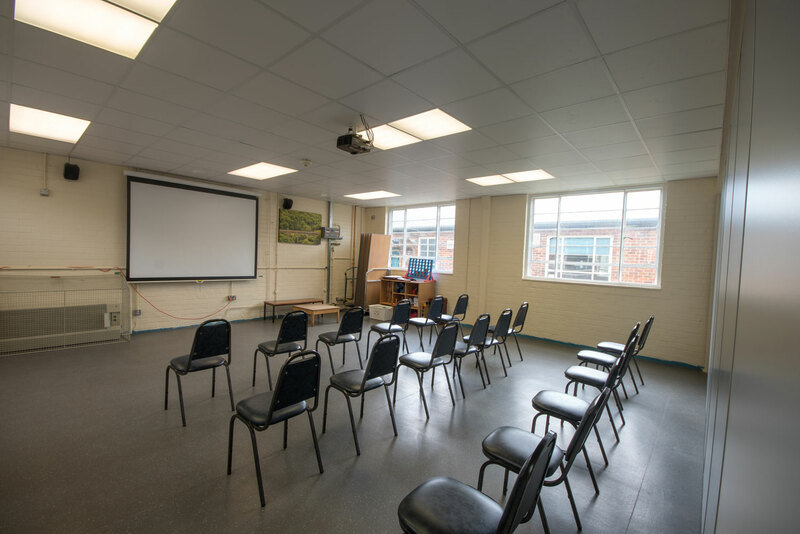 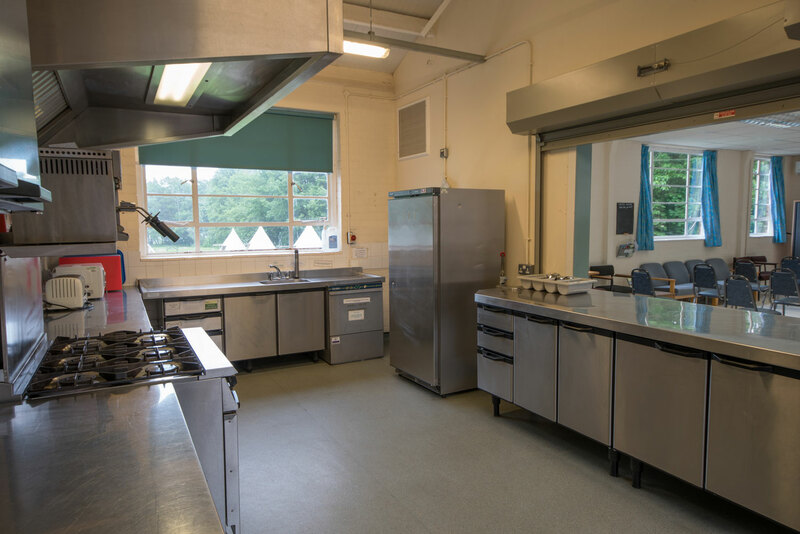 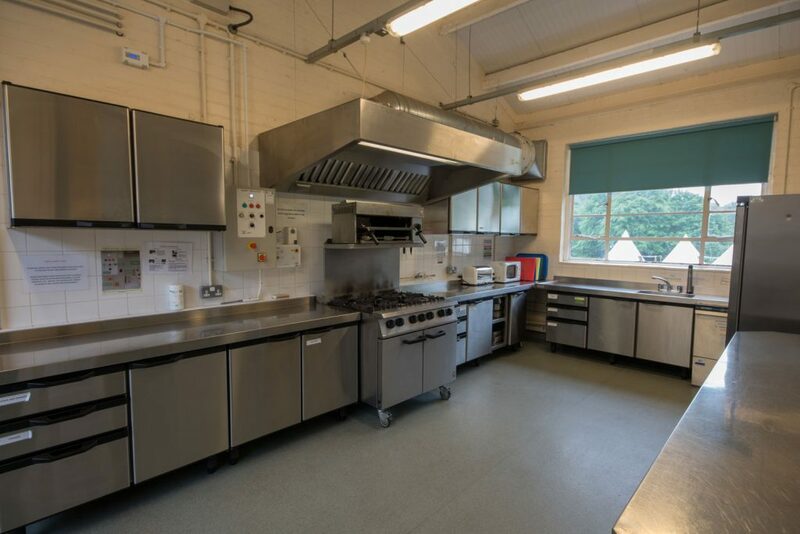 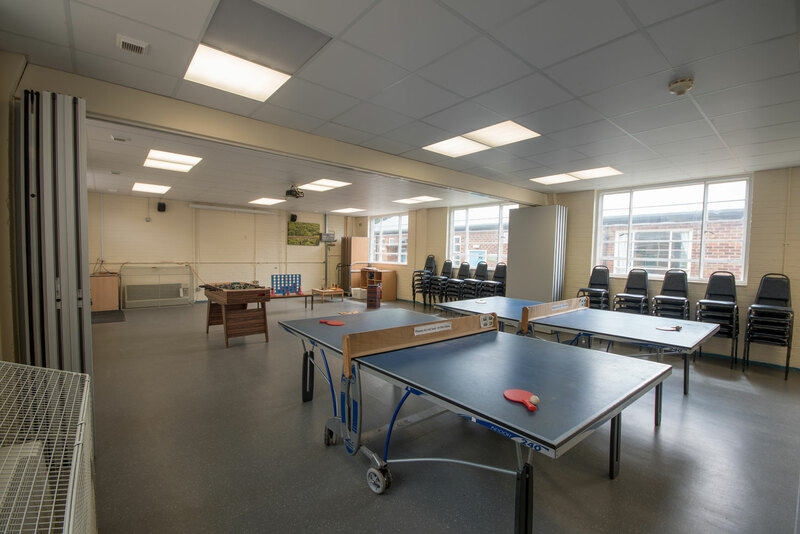 A space for up to 60 people, our Base Camp room has a ceiling mounted projector, wall mounted speakers, a screen and its own fully equipped kitchen area. 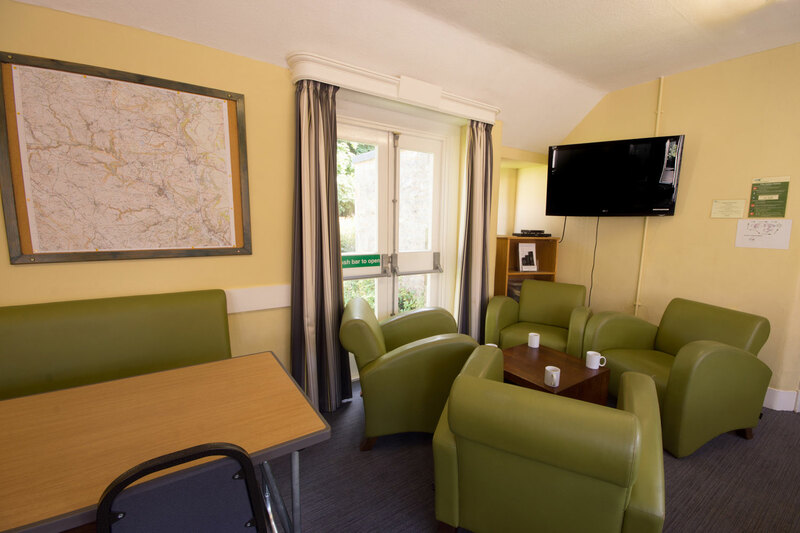 A freesat TV box can be provided if available. 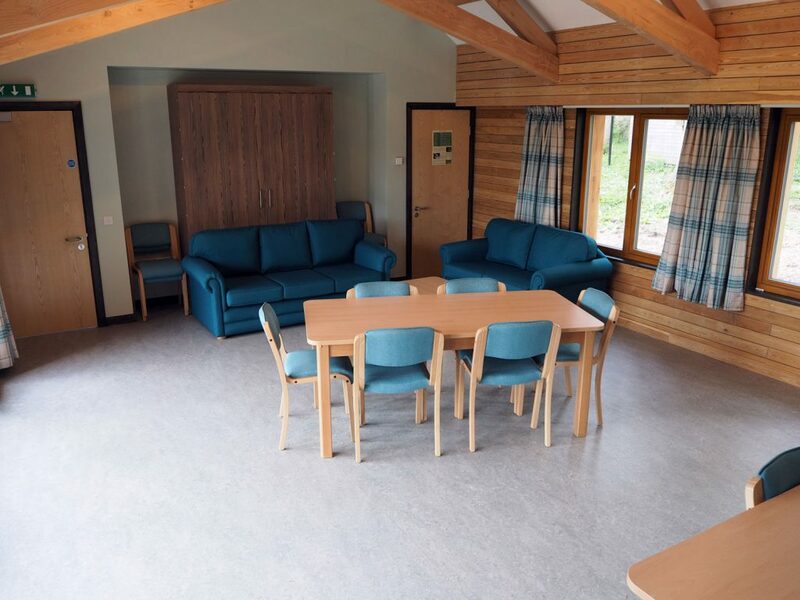 Table and chairs for 60 people are provided and the room is wheelchair accessible. 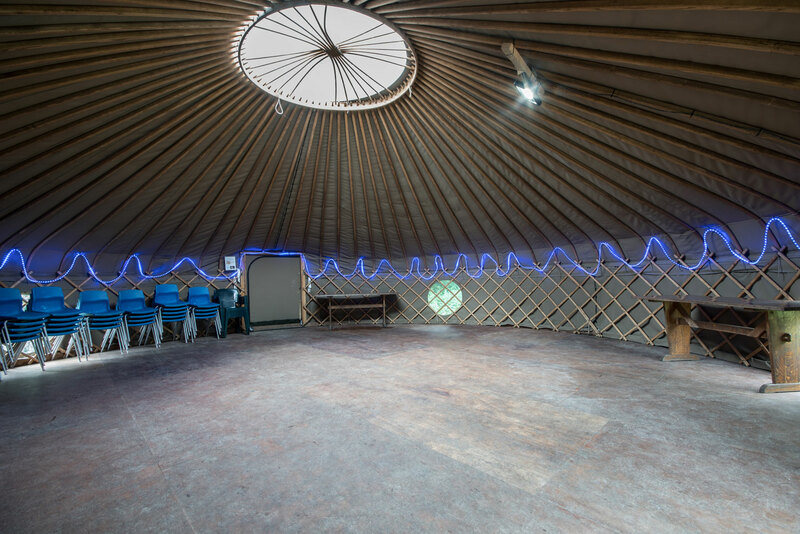 Our 9m diameter yurt is a fantastic space with it’s clear roof, wooden floor, patterns and general novelty value. 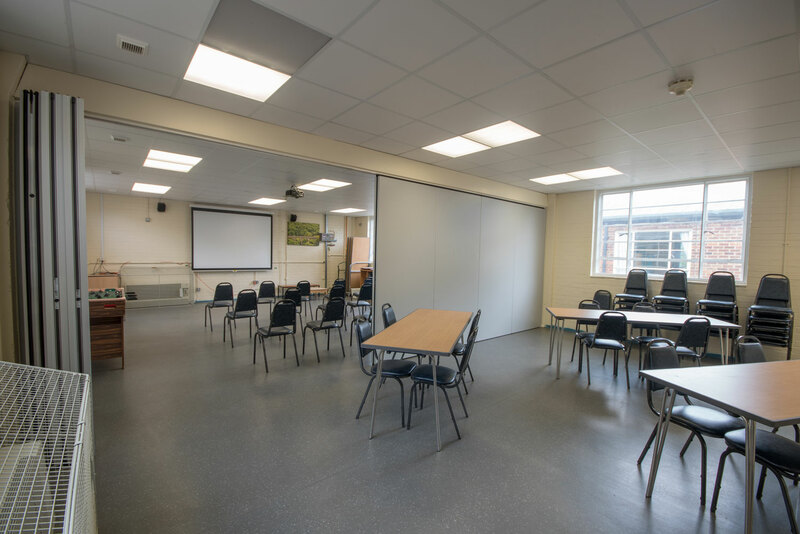 There is internal lighting and a power point, we can provide a portable projector screen upon request. 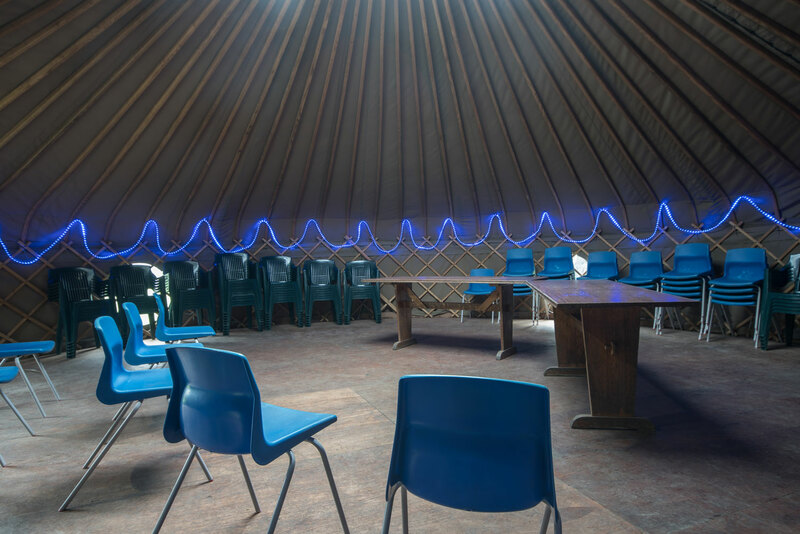 A ramp leads into the Yurt making it wheelchair accessible. 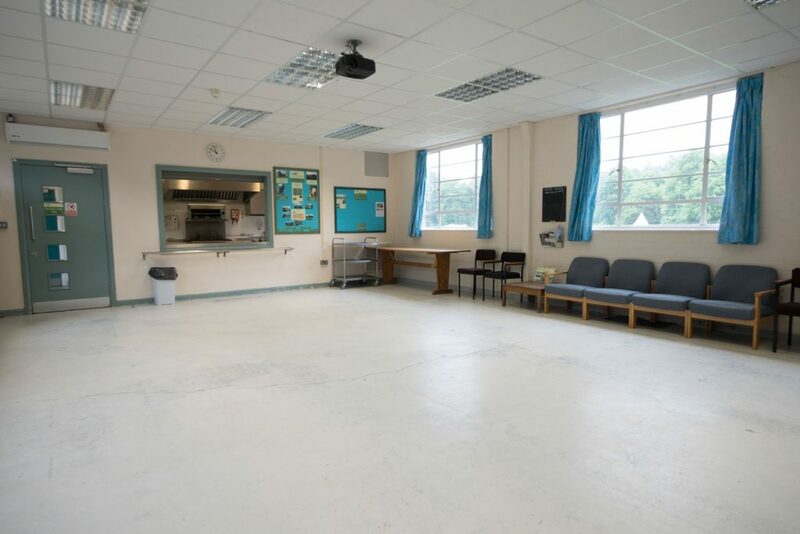 The main living area of the Woodlands building can be converted into a meeting space for up to 12 people and has adjoining kitchen facilities. 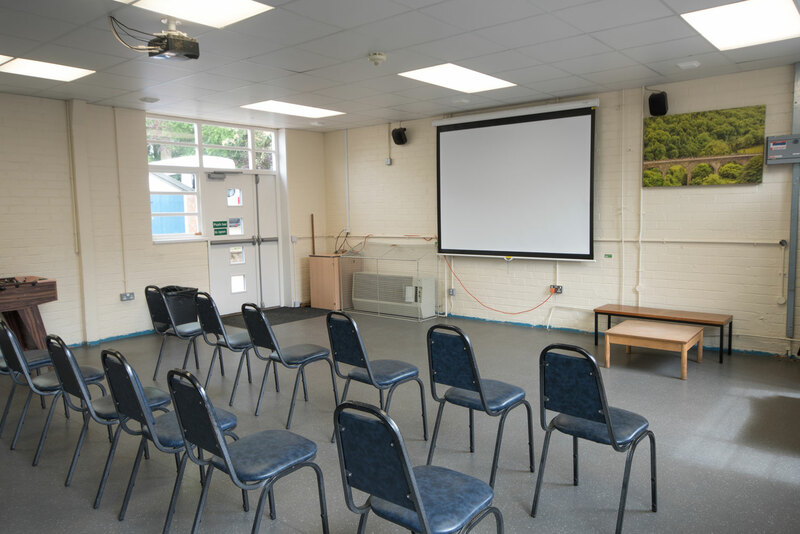 There is a 50″ wall mounted TV for presentations and a Blu-ray player. 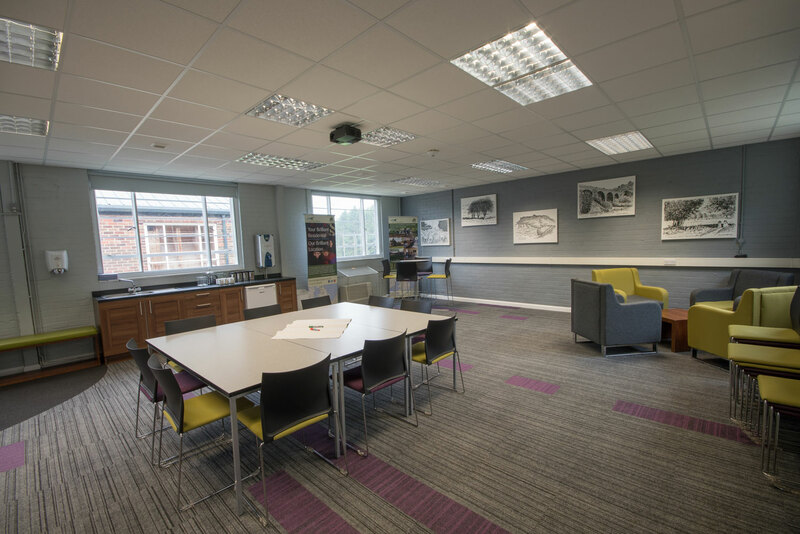 Woodlands can be used as a meeting room when you have booked the building, it can’t be booked separately as just a meeting room. Available for residential groups staying in the Lodge and whole site bookings, our comfortable Lodge lounge and functional dining room provide useful meeting, relaxation, break out spaces. 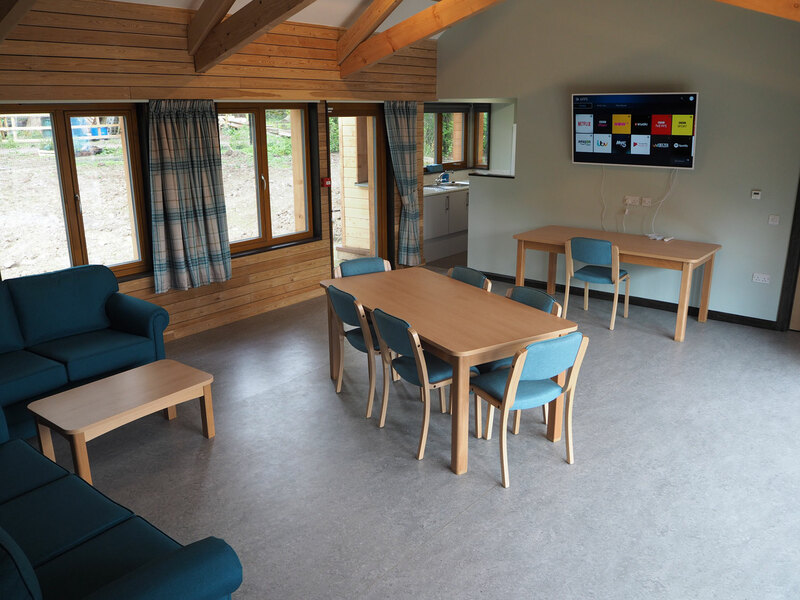 The lounge has a LED TV for presentations and a Blu-ray player. 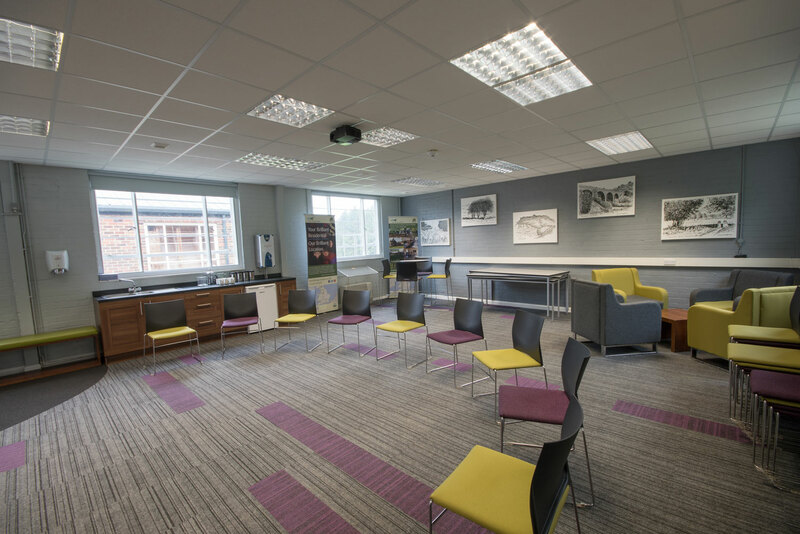 The Lodge can be used as a meeting room when you have booked the building, it can’t be booked separately as just a meeting room. Available for residential groups staying in the Farm House and those who book the whole site, the dining room has a LCD TV for presentations and a Blu-ray player. 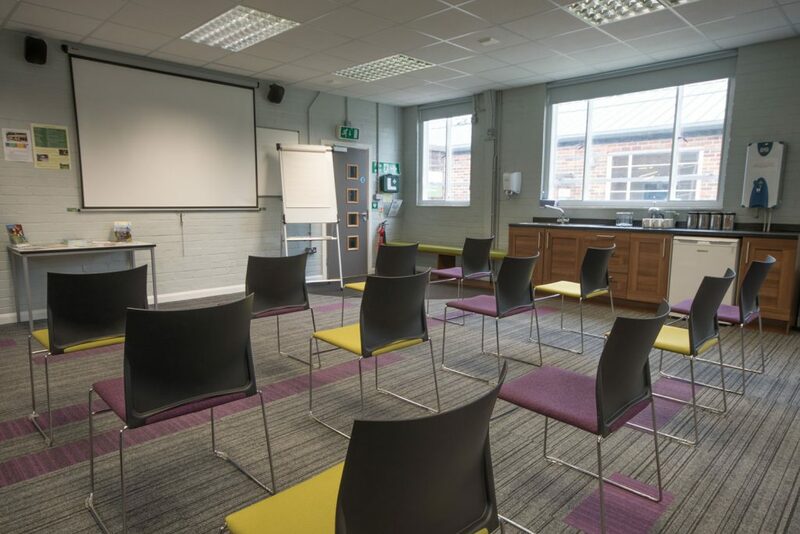 The Farm House can be used as a meeting room when you have booked the building, it can’t be booked separately as just a meeting room.